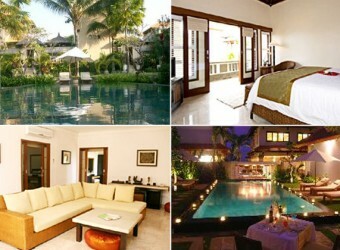 Bali Hotel Asri Jewel Villa is the luxury resort with the full green garden of 35,000㎡ and there is only 15 villas. The location is on the beautiful rock of Ungasan where is popular for new resorts buildings in these years. In the villa, it is decorated by the traditional Balinese architecture and gorgeous trend, and it’s really calm atmosphere of the Balinese resort.